AMDEX 40 Port Breakout Voice Patch Panel for use with the NEC UNIVERGE AMDEX 40 Port Breakout Voice Patch Panel for use with the NEC UNIVERGE Phone Systems. 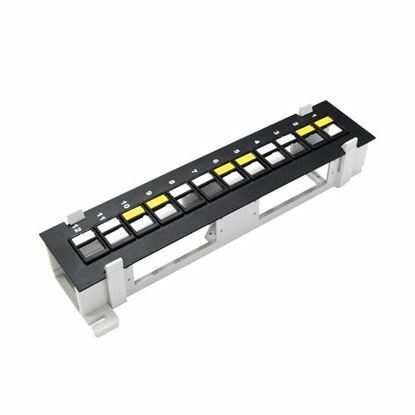 DYNAMIX 16 Port 19" Cat5e UTP Patch Panel, T568A & T568B DYNAMIX 16 Port 19" Cat5e UTP Patch Panel, T568A & T568B Wiring. 1RU. 110x Terminations. 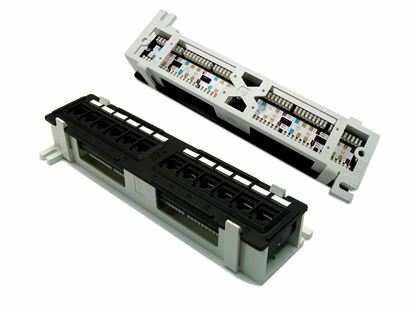 DYNAMIX 24 Port 19" Cat5e UTP Patch Panel, T568A & T568B DYNAMIX 24 Port 19" Cat5e UTP Patch Panel, T568A & T568B Wiring. 1RU. 110x Terminations. DYNAMIX 24 Port 19" Cat5e UTP Patch Panel with plastic DYNAMIX 24 Port 19" Cat5e UTP Patch Panel with plastic labelling kit. T568A & T568B Wiring. 1RU. 110x Terminations. DYNAMIX 48 Port 19" Cat5e UTP Patch Panel, T568A & T568B DYNAMIX 48 Port 19" Cat5e UTP Patch Panel, T568A & T568B Wiring. 2RU. 110x Terminations. 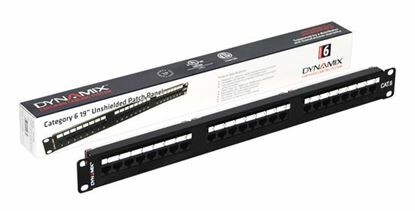 DYNAMIX 24 Port 19" Cat6 UTP Patch Panel with plastic labelling DYNAMIX 24 Port 19" Cat6 UTP Patch Panel with plastic labelling kit. T568A & T568B Wiring. 1RU. 110x Terminations. 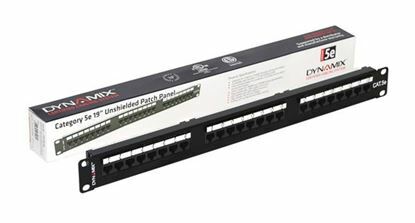 DYNAMIX 24 Port 19" Cat6 UTP Patch Panel with plastic labelling DYNAMIX 24 Port 19" Cat6 UTP Patch Panel with plastic labelling kit. Rear Support Bar. T568A & T568B Wiring. Dual 110/Krone IDC.